Aprilween is fast approaching (or, long belated as it were) and J and I are just now finishing our costumes. After wasting an afternoon with the failed ideas of giant starfish and geometric hats (I really wish I’d taken pictures of these horrible things) I went to my dress closet and decided to match a party dress with a mask and call it quits. J had been pondering an incarnation of The Doctor (from Doctor Who), but another friend beat him to Number Eleven (Matt Smith). He’s always been fond of the Fourth Doctor, played by Tom Baker. Baker played the doctor for seven years, long enough that most people consider him THE Doctor. We’re low on time and resources, so we decided to focus on the unusually long scarf that was the Fourth Doctor’s trademark. 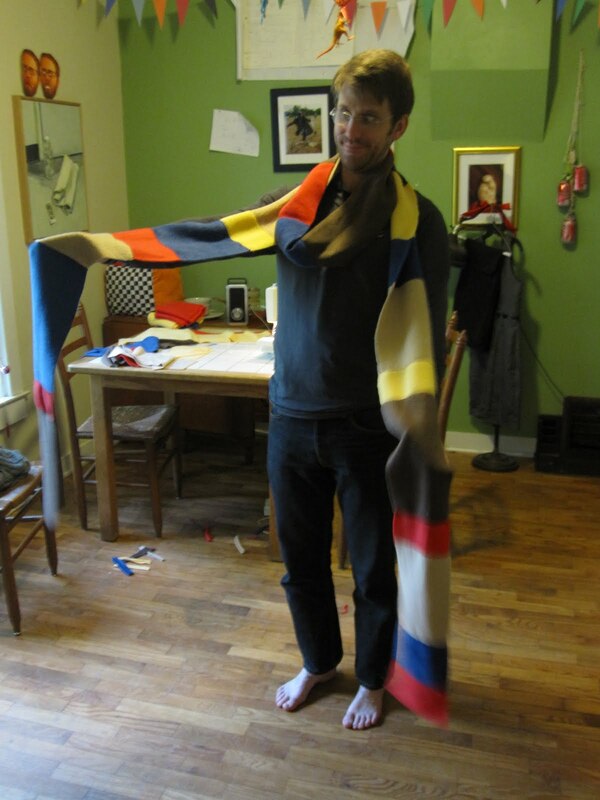 Others on the interwebs have made recreations of his scarf (most specifically, doctorwhoscarf.com), but we went the easy-peasy route. I’ll show you how we did it! J, you’re not THAT kind of doctor! 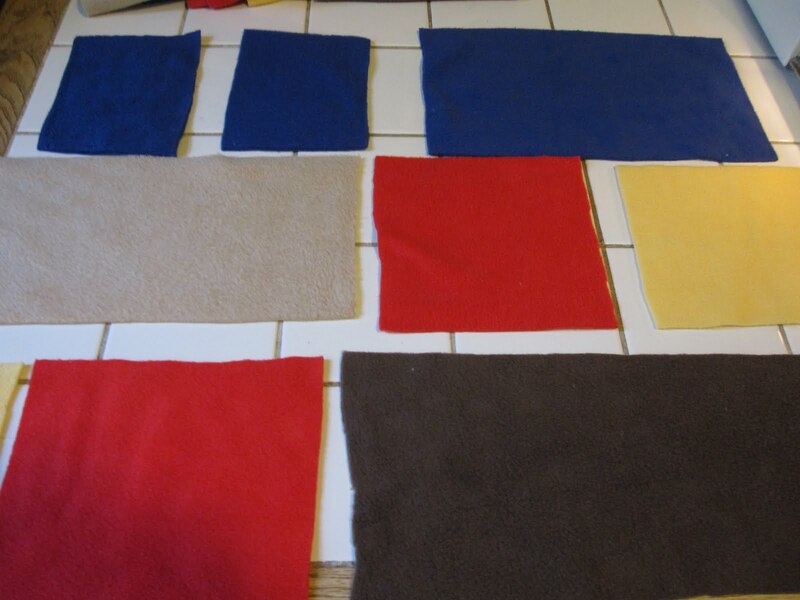 We looked at some pictures and settled on dark brown, tan, mustard, royal blue and red. You could definitely go simpler. Once a Doctor Who fan sees a scarf that goes below the knee, it’s easy to figure out what’s going on. Do what feels right! 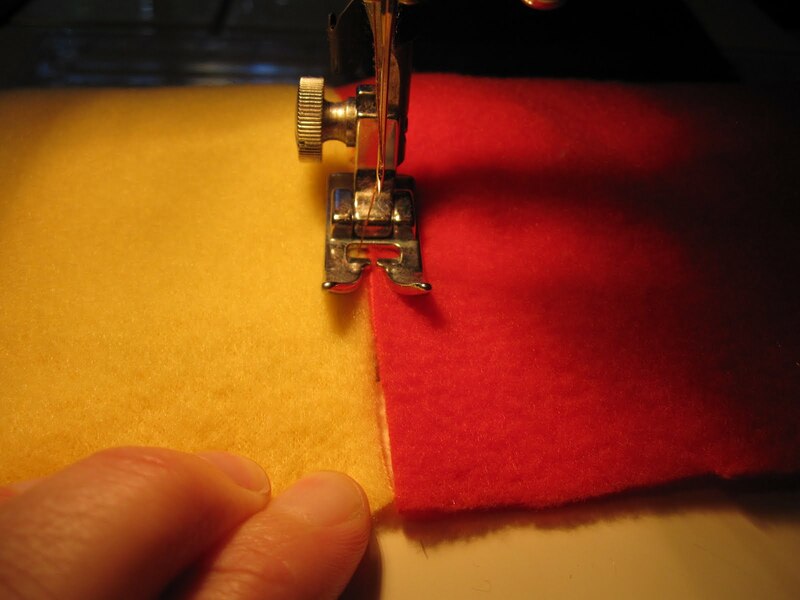 Cut the fleece length-wise as wide as you want the width of the scarf. I went with 6 inches across. Don’t worry about seam allowances. That’s the great thing about fleece– no raveling! 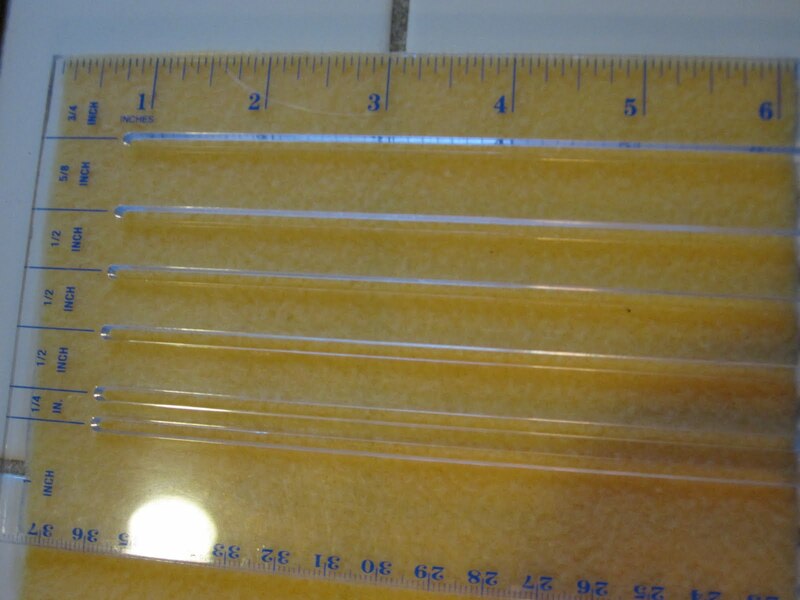 After you’ve got your long strips cut from all colors, cut into rectangles of all different lengths. From the pictures, we noticed that the tan and brown were used in longer lengths, with the reds and yellows in thinner sections. 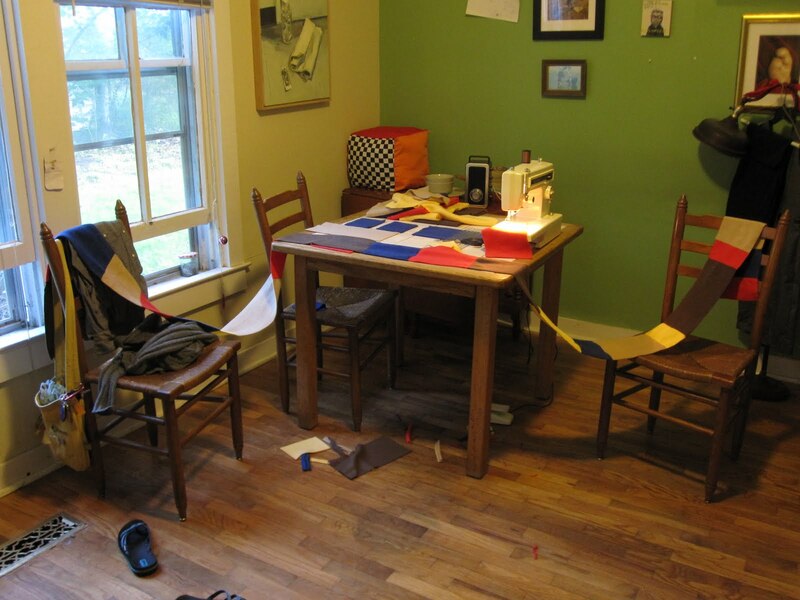 There’s no right length for your scarf, so just make a pile of all your different rectangles and stop when you get tired of cutting. 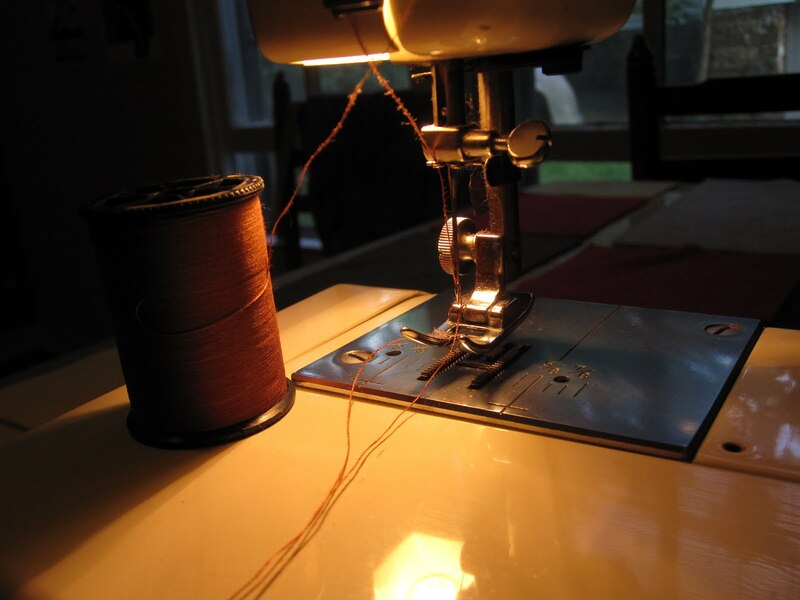 Thread your machine. I chose brown thread, because I have a lot of it. A contrasting thread won’t matter much here. It is a crazy scarf, after all. 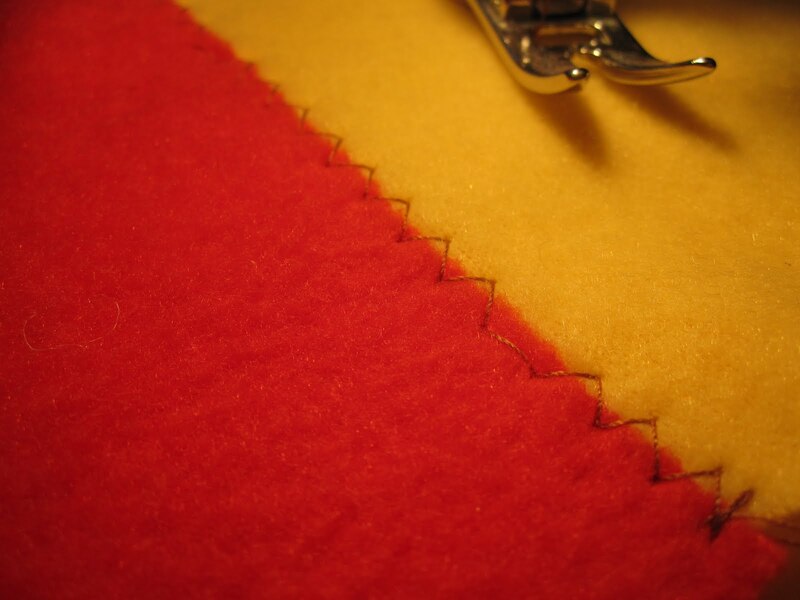 Set your machine to the widest zig-zag stitch you have, and set at about 8 stitches per inch. 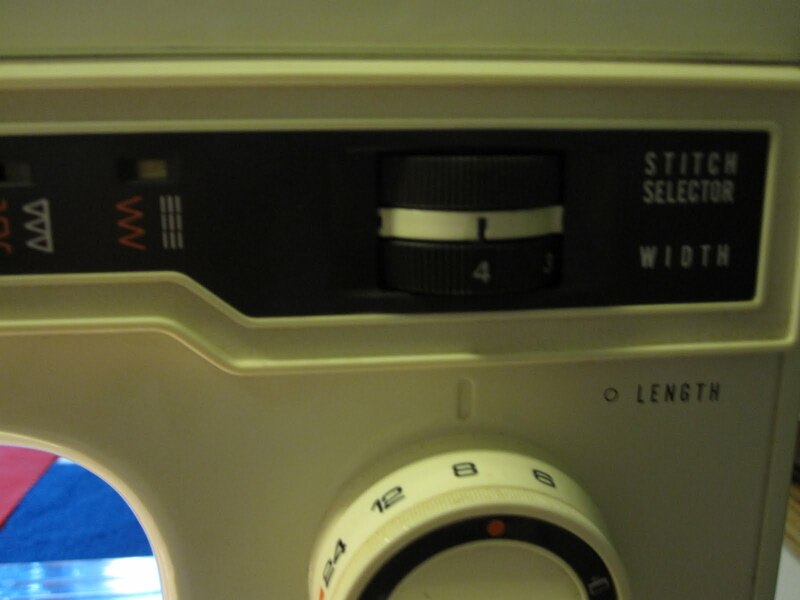 As you can see, I have a rather vintage machine. It’s pretty awesome, and is so heavy it stays put very well. 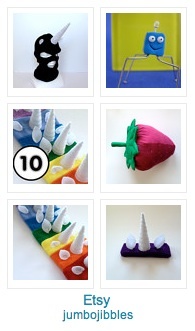 Take the different colored pieces one by one and make a pile with no two colors side-by-side. 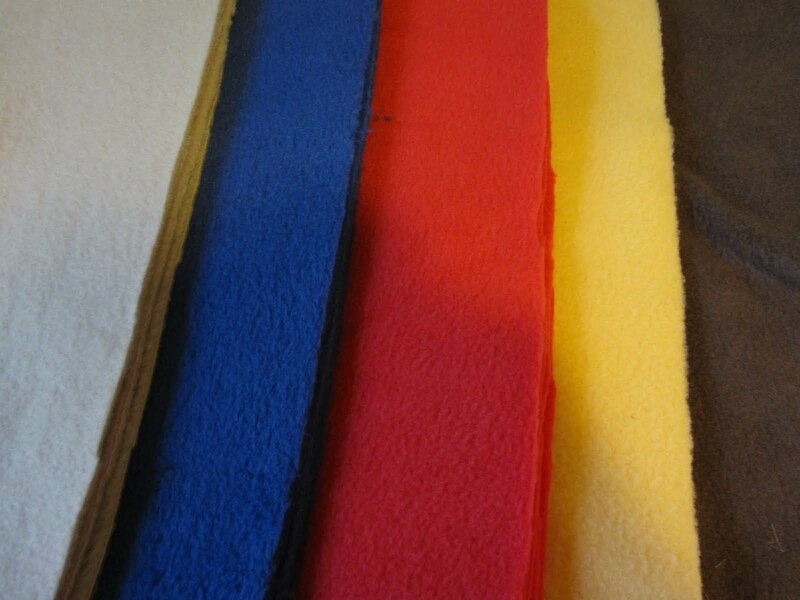 Start with two pieces of fleece and line them up end-to-end. 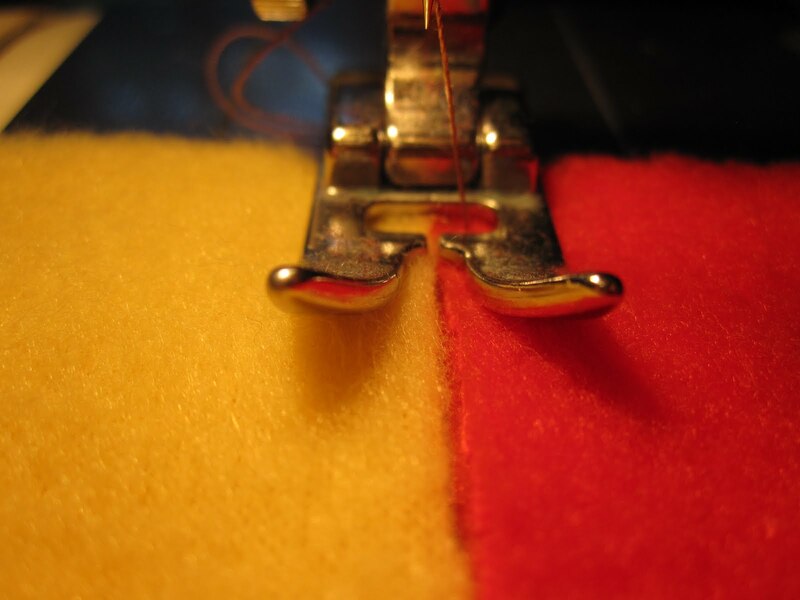 Some pieces may be uneven if you cut things willy-nilly (guilty), but they can be trimmed at the end. If the unevenness is just a little, you can pull lightly on the short side and it’ll come out fine at the end. Now do this about 20 more times. The scarf in all took me about 30 minutes. This is the image that inspired the costume, via Threadless. I’ve also made him a domino mask covered in feathers, so he is Doctor Hoo. Thank you for reading my first real tutorial! I hope this helps someone who was hesitant to try their hand at costuming.